“Better than the box.” That’s what my five-year old tells me about the most recent APLK recipe in The Dallas Morning News. 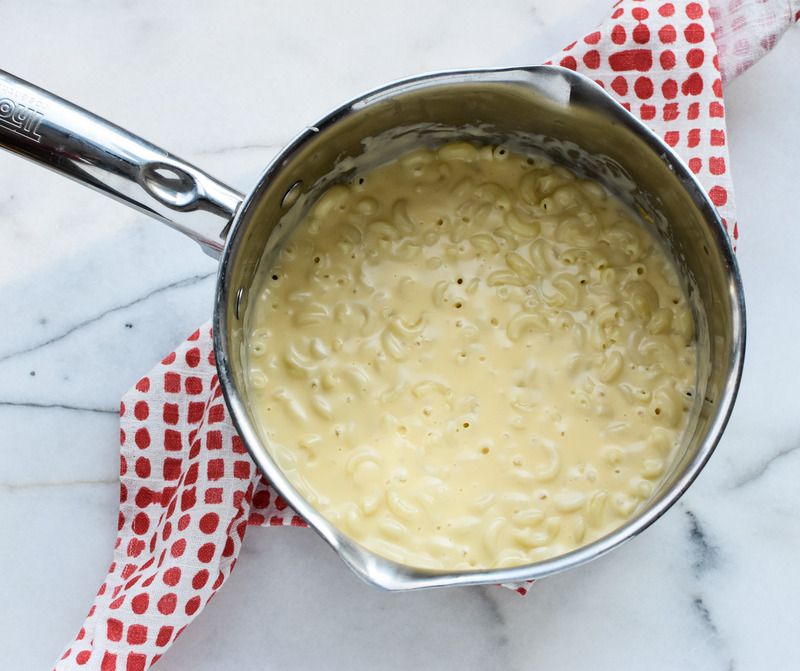 That’s a huge compliment, because it’s everyone’s favorite boxed dinner–macaroni and cheese. 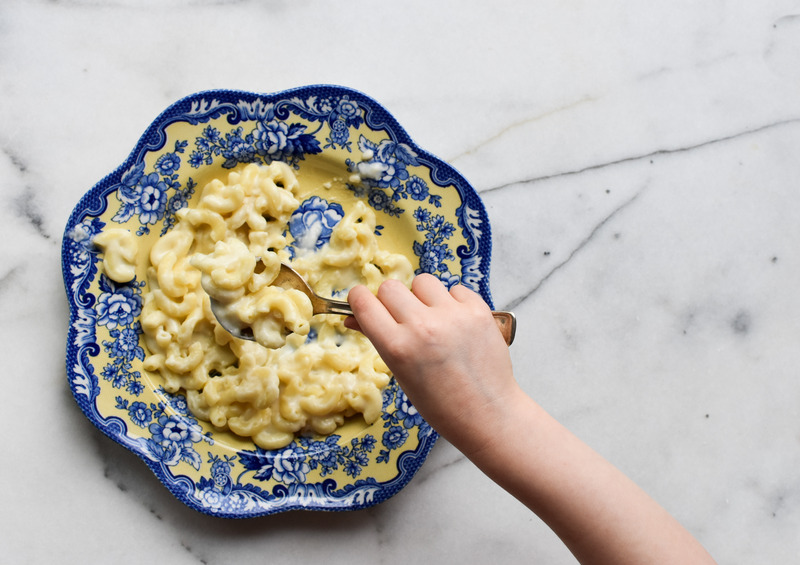 Katherine’s Macaroni and Cheese hits the newsstand and online today (click here to read the full story) and it’s one of my most favorite recipe projects. Why you ask? Because it’s the first recipe that I worked alongside my daughter to create. One of the beauties of this recipe is that it’s versatile. Eat it plain or garnish with additional toppings to suit your tastebuds. 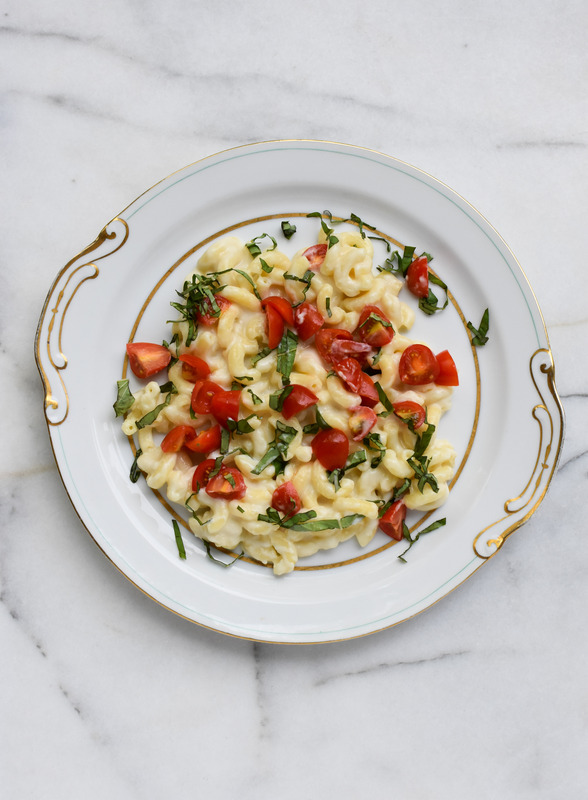 Give basil and cherry tomatoes a try. Or how about bacon and green chiles? 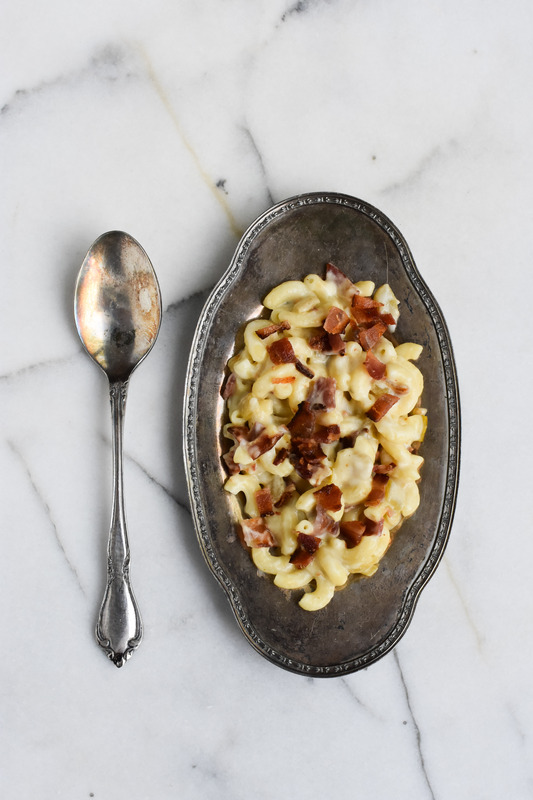 Not only are the toppings versatile but so are the cheeses used in the mac and cheese. What’s even better is if there’s leftovers, APLK has another recipe to try. 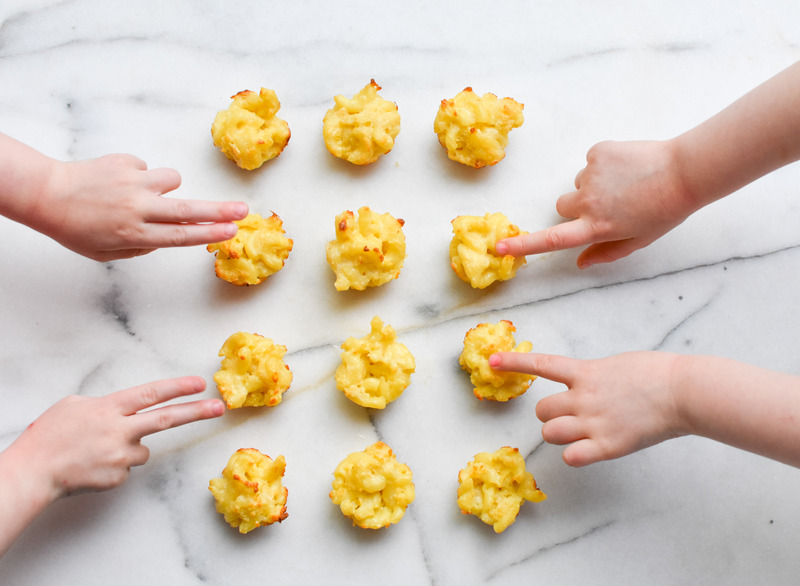 Mac and Cheese Bites (click here for the recipe)–leftover, kid and freezer friendly. Sounds like a winner to me. 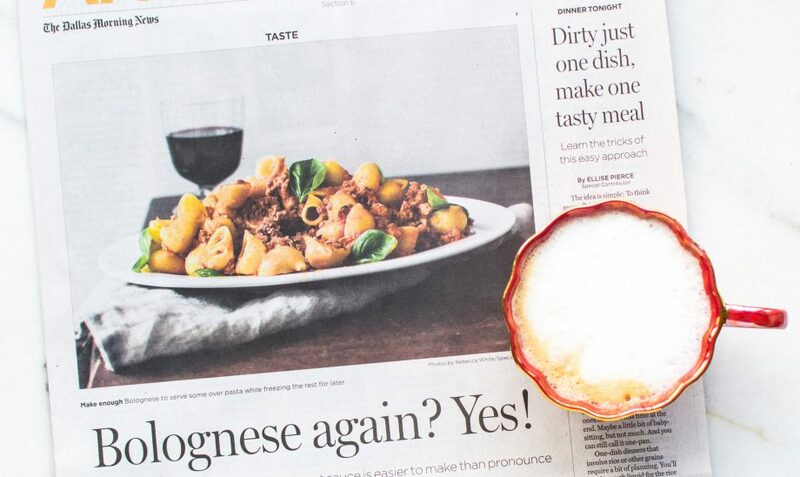 As always, thank you to The Dallas Morning News for showcasing APLK recipes in your medium. It’s an honor to be a part of such a fantastic publication. Now click over to the Dallas News, get the recipe and start cooking (click here for the story). Happy reading and cooking! Hi Cynthia! 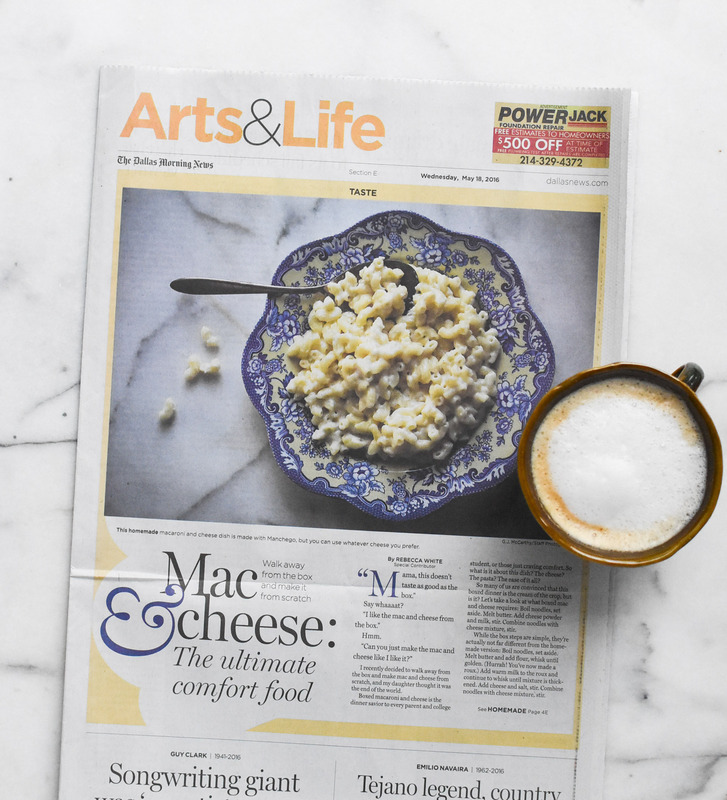 The calorie count for the macaroni and cheese in The Dallas Morning News is really dependent on the ingredients you choose to use. Certain cheeses and the type of milk you select (skim, 1%, whole, etc.) will have different amounts calories. 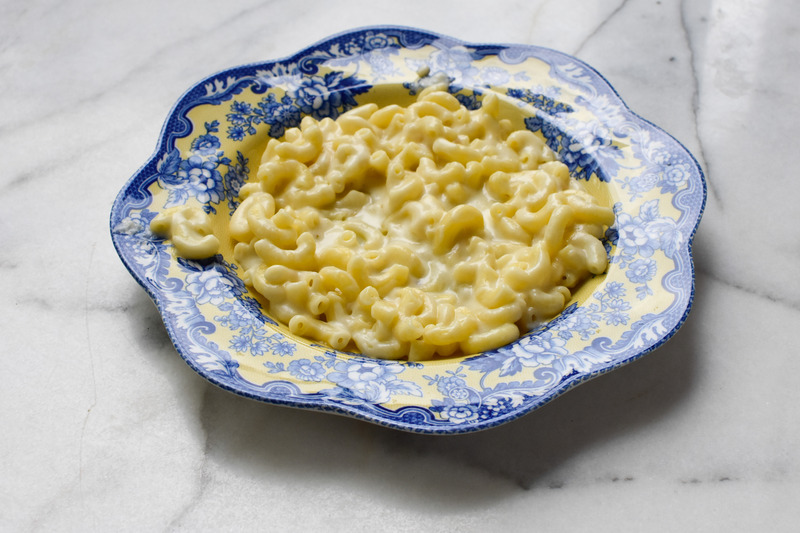 The benefit of homemade mac and cheese is that you do have these options AND there are less preservatives and colorings. Hope this helps!